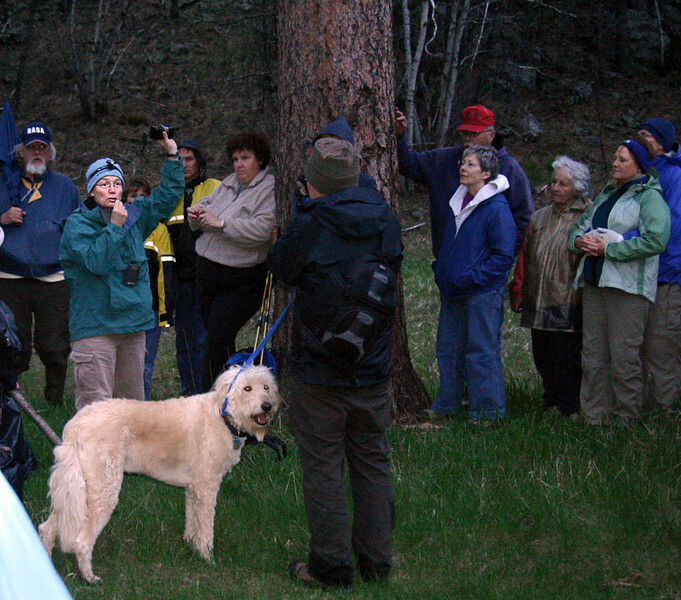 Black Hills National Forest has rolled out the carpet for another summer of great educational Moon Walks. Nancy Drilling used her recording/playback device -- and the portable sound system -- to share the calls of the four owl types she had described. Despite the technical challenges of this arrangement, it seemed to work fairly well. Nice looking dog! We liked his camera, too!